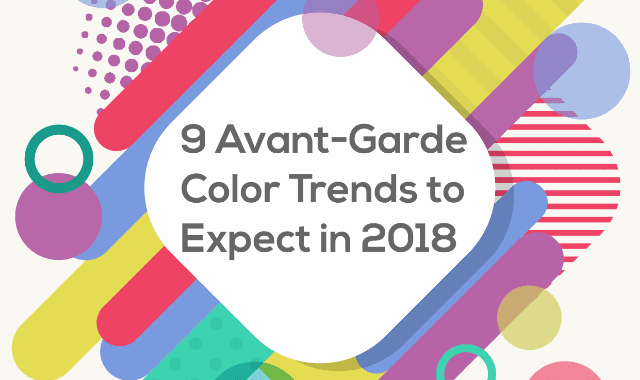 9 Avant-Garde Color Trends to Expect in 2018 #Infographic ~ Visualistan '+g+"
Like many trends, color trends begin with the experts. Folks in fashion or design circles choose their favorite hues, and gradually, they spread to other industries. One day, cool, sleek colors are all the rage. The next, it’s bright purples. Studies on color psychology show that color truly does influence our subconscious emotions. That’s why you need to make smart color choices for your brand. Brands presented consistently are 3-4x more likely to experience brand visibility. So for the sake of consistency, there’s no need to chase every trend. But evolving your visual identity can help you keep up with consumers. There's no need to chase every trend. But if you’re rebranding or designing a logo in the new year, keep in mind these 2018 color trend predictions.